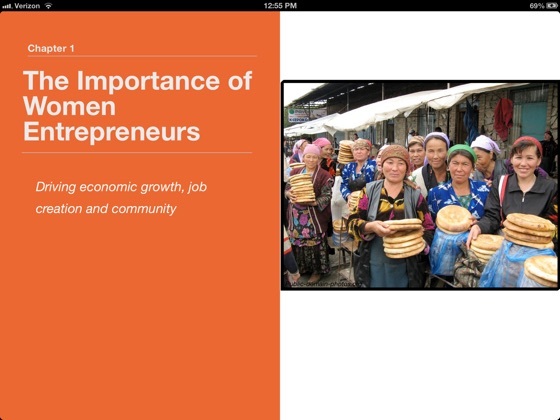 This book is for women who either aim to create their own business or those who have established one. 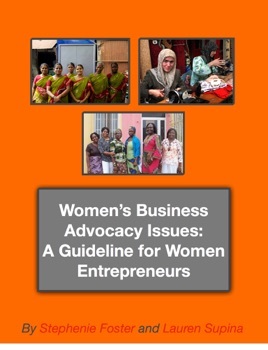 It identifies obstacles and offers a roadmap, resources and ideas for effective advocacy of women and women-owned businesses recognizing their critical importance to economic growth and poverty alleviation. It presents strategic questions to ask yourself and others you work with regarding the policy and business enabling environment in your country. 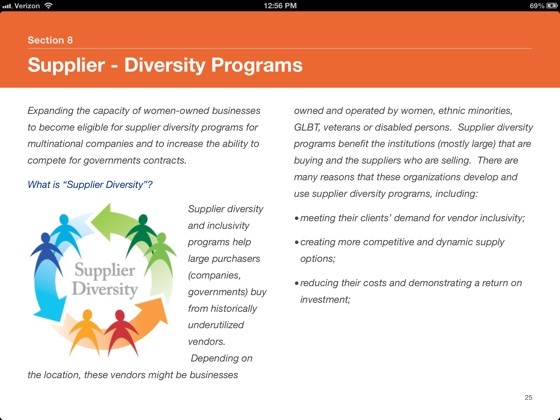 It offers a set of tactics to address and promote this critical policy change. Author proceeds for this e-book will be donated to the U.N. 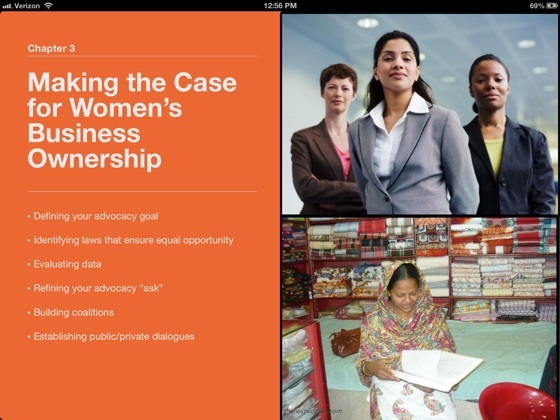 Global Compact’s Women’s Empowerment Principles.